Medically negligent mistakes by doctors, nurses and hospital personnel can be devastating, often resulting in permanent injury or death. The legal team at The Moody Law Firm, Inc. has obtained successful verdicts and settlements in cases involving physician malpractice, and the negligence of nurses and other medical providers. Through our prior experience in such cases, along with access to medical experts in various specialties, our lawyers stand ready to obtain proper compensation for patients who are injured as the result of medical care that does not meet accepted standards of practice. Medical negligence does not just occur at the hands of doctors. All levels of personnel at a hospital, including the emergency room staff, nurses, aides, pathologists, technicians, and even employees of the records department, must meet a standard of care in doing their jobs. The mistake of any hospital professional can lead to complications and serious injury. Outside of the hospital setting, errors also occur in the offices of family physicians and specialists, and at Urgent Care Centers and testing labs. Blood tests, PAP smears, x-rays, MRI’s, ultrasounds, CT scans and lab tests are often done at these facilities, and errors or delays in obtaining such test results can cause diagnoses to be missed, improper treatment and potentially life-threatening consequences. The Moody Law Firm, Inc. has the know how to evaluate all aspects of patient care and to pinpoint to specific healthcare professionals to be held responsible for injurious mistakes. Many past clients of The Moody Law Firm, Inc. were injured as the result of their procedures or treatment. 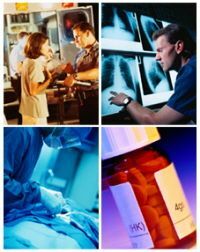 Grave mistakes often occur when physicians or other medical professionals prescribe or give the wrong medication, or fail to make sure that a patient gets the right dose of ordered medication at the appropriate time. Errors also occur in the operating room, often due to the misuse of anesthesia, or when surgeons fail to act skillfully with proper technique and care to achieve the objective of an operation and avoid damaging unrelated organs. Likewise, some of the most devastating injuries during care occur before the patient is even born. Babies often suffer brain damage and life-long disability from Cerebral Palsy when obstetricians or other professionals fail to properly monitor the health of the infant during the mother’s pregnancy and at the time of delivery. Outside of treatment, medical professionals also often make mistakes in failing to properly diagnose an illness or disease. Many medical conditions are treatable when diagnosed in a timely manner. Failure on the part of doctors or other professionals to order necessary tests and evaluate pertinent medical information to correctly diagnose an illness or disease can result in delayed treatment and severe injury or death of the patient. Such cases often involve the misdiagnosis and treatment of cardiac/heart disease or the failure to detect cancer at an early, more treatable stage. If you or a loved one has questions about a medical diagnosis or treatment, The Moody Law Firm, Inc. is ready, willing and able to identify medical malpractice occurrences and to seek compensation for any injuries resulting from such mistakes.